Peacefully on November 27, 2018, our beloved mother, grandmother, and great-grandmother passed away at the age of 91. Teodozia was born in the village of Preluky, Western Ukraine, on March 27, 1927, to Ksenia and Gregory Sushko. She immigrated to Canada with her husband Dmytro and their three daughters in 1963. She was predeceased by her husband of 48 years, Dmytro Holowczak, in 1995; her parents; and all of her siblings: Olena, Maria, Anna, Steve, and Dmytro. 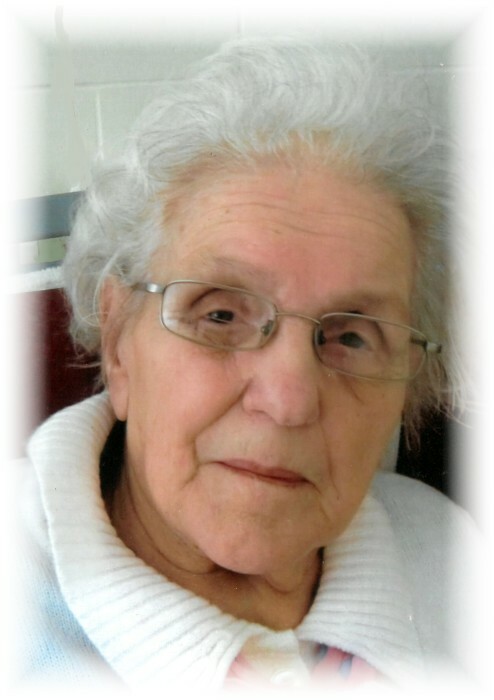 To mourn her passing, she leaves her daughters Maria (Jean-Claude) Geffroy, Alexandra Holowczak, Amelia Holowczak, and Anna (Derek) Stertz; grandchildren, Nadia, Zandra, Adam, Cara, and Tania; and great-granddaughter Paris. Funeral Service will be held at 10:30 a.m. on December 5th at Sts. Peter and Paul Ukrainian Catholic Church, 390 Marion Street, with Fr. Darren Kawiuk officiating. Interment will follow at All Saints Cemetery. The family would like to thank Dr. Terry Babick and Dr. Andrea Babick, as well as the staff of St. Paul’s unit at Holy Family Home for the love and care our mother received while she was there.